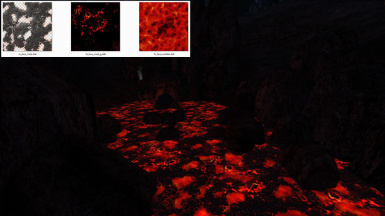 4 Hi-res lava retextures to choose from and new smoke textures. 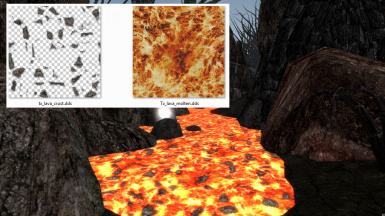 v1.0: Retextures of the lava in Morrowind. I've included 3 versions. 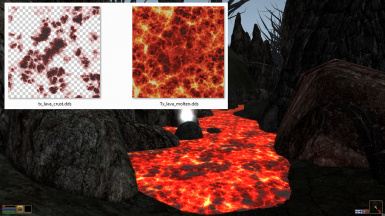 You can mix/match the different lavas and crusts to your liking, i've included picture of the .dds + an in-game image for all versions. * Renamed mod to "Lava & Smoke" since it now comes with 5 smoke retextures as well. 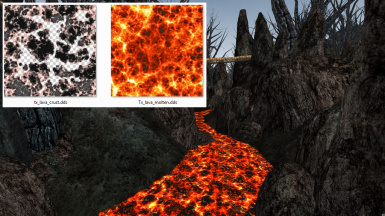 * 1 new version of lava, comes with a glow map.